The Cape Canaveral Air Force Station Launch Complex 14 (LC-14) Blockhouse was where Mercury-Atlas rockets were launched using analog electronic equipment to monitor various aspects of the rocket. 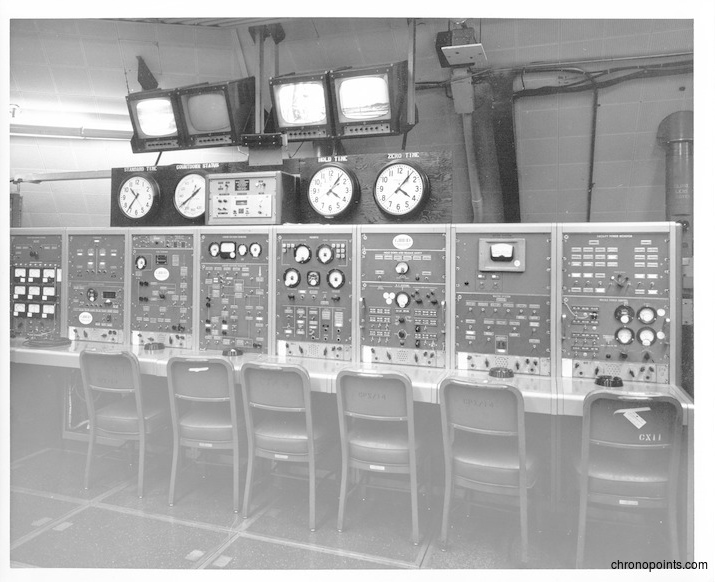 One might note that these Project Mercury workstations had no video screens, as there might be today, only analog gauges and meters to view conditions, as well as dials, switches, and buttons to issue commands to the rockets. This equipment was placed in electronics racks, similar to those used for computers in server rooms today, to save space and allow each workstation to have all the equipment to accomplish its function. 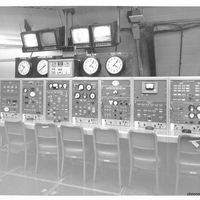 “Rocket Monitoring and Launch Workstations at the Cape Canaveral Air Force Station Launch Complex 14 Blockhouse.” RICHES of Central Florida accessed April 26, 2019, https://richesmi.cah.ucf.edu/omeka/items/show/4965.